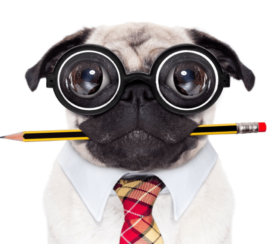 I’m not going to lie: Conducting an in-depth SEO audit is a major deal. And, as an SEO consultant, there are a few sweeter words than, “Your audit looks great! When can we bring you onboard?” Even if you haven’t been actively looking for a new gig, knowing your SEO audit nailed it is a huge ego boost. But, are you terrified to start? Is this your first SEO audit? Or, you just don’t know where to begin? Sending a fantastic SEO audit to a potential client puts you in the best possible place. It’s a rare opportunity for you to organize your processes and rid your potential client of bad habits (cough*unpublishing pages without a 301 redirect*cough) and crust that accumulates like the lint in your dryer. So take your time. 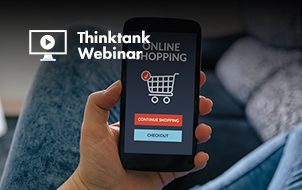 Remember: Your primary goal is to add value to your customer with your site recommendations for both the short-term and the long-term. Ahead, I’ve put together the need-to-know steps for conducting an SEO audit and a little insight to the first phase of my processes when I first get a new client. It’s broken down into sections below. If you feel like you have a good grasp on a particular section, feel free to jump to the next. 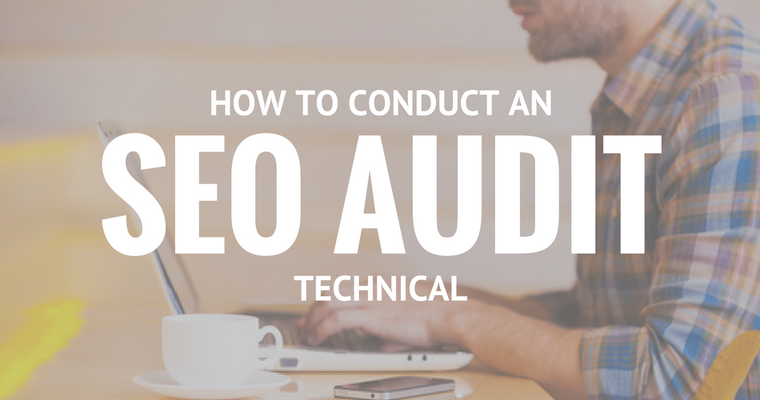 When Should I Perform an SEO Audit? After a potential client sends me an email expressing interest in working together and they answer my survey, we set-up an intro call (Skype or Google Hangouts is preferred). Before the call, I do my own mini quick SEO audit (I invest at least one hour to manually researching) based on their survey answers to become familiar with their market landscape. It’s like dating someone you’ve never met. You’re obviously going to stalk them on Facebook, Twitter, Instagram, and all other channels that are public #soIcreep. What are your overall business goals? What are your channel goals (PR, social, etc.)? Do you have any business partnerships? How often is the website updated? 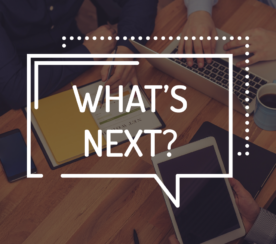 Do you have a web developer or an IT department? Have you ever worked with an SEO consultant before? Or, had any SEO work done previously? Sujan Patel also has some great recommendations on questions to ask a new SEO client. After the call, if I feel we’re a good match, I’ll send over my formal proposal and contract (thank you HelloSign for making this an easy process for me!). To begin, I always like to offer my clients the first month as a trial period to make sure we vibe. This gives both the client and I a chance to become friends first before dating. 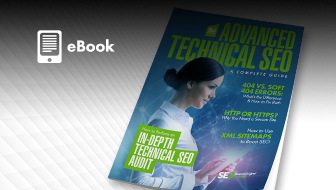 During this month, I’ll take my time to conduct an in-depth SEO audit. These SEO audits can take me anywhere from 40 hours to 60 hours depending on the size of the website. These audits are bucketed into three separate parts and presented with Google Slides. Technical: Crawl errors, indexing, hosting, etc. Content: Keyword research, competitor analysis, content maps, meta data, etc. Links: Backlink profile analysis, growth tactics, etc. After that first month, if the client likes my work, we’ll begin implementing the recommendations from the SEO audit. And going forward, I’ll perform a mini-audit monthly and an in-depth audit quarterly. When a client and I start working together, I’ll share a Google doc with them requesting a list of passwords and vendors. The first thing I do is add my client’s site to DeepCrawl. Depending on the size of your client’s site, the crawl may take a day or two to get the results back. 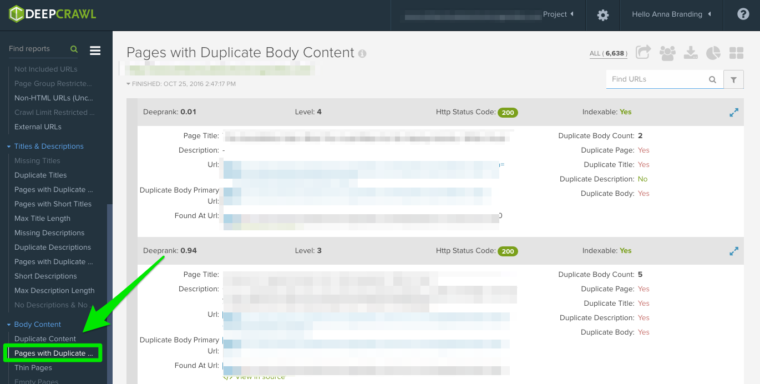 Check out the “Duplicate Pages” report to locate duplicate content. If duplicate content is identified, I’ll make this a top priority in my recommendations to the client to rewrite these pages and in the meantime, I’ll add the <meta name=”robots” content=”noindex, nofollow”> tag to the duplicate pages. Duplicate body content from tag pages (I’ll use Copyscape to help determine if something is being plagiarized). Add the canonical tag on your pages to let Google know what you want your preferred URL to be. Disallow incorrect URLs in the robots.txt. Rewrite content (including body copy and meta data). Here’s an example of a duplicate content issue I had with a client of mine. As you can see below, they had URL parameters without the canonical tag. I fixed any 301 redirect issues. Added a canonical tag to the page, I want Google to crawl. Update the Google Search Console parameter settings to exclude any parameters that don’t generate unique content. Added the disallow function to the robots.txt to the incorrect URLs to improve crawl budget. 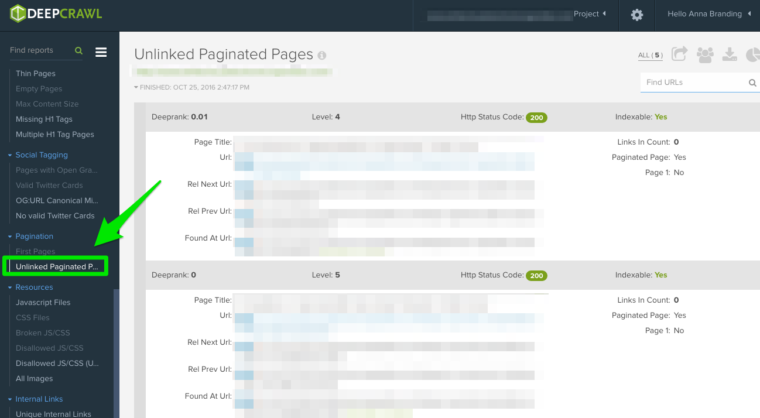 First Pages: To find out what pages are using pagination, review the “First Pages” report. Then, you can manually review the pages using this on the site to discover if pagination is implemented correctly. Unlinked Pagination Pages: To find out if pagination is working correctly, the “Unlinked Pagination Pages” report will tell you if the rel=”next” and rel=”prev” are linking to the previous and next pages. Review the “Max Redirections” report to see all the pages that redirect more than 4 times. John Mueller mentioned in 2015 that Google can stop following redirects if there are more than five. While some people refer to these crawl errors as eating up the “crawl budget,” Gary Illyes refers to this as “host load”. It’s important to make sure your pages render properly because you want your host load to be used efficiently. 301 — These are the majority of the codes you’ll see throughout your research. 301 redirects are okay as long as there are only one redirect and no redirect loop. 302 — These codes are okay, but if left longer than 3 months or so, I would manually change them to 301s so that they are permanent. This is an error code I’ll see often with e-commerce sites when a product is out of stock. 400 — Users can’t get to the page. 403 — Users are unauthorized to access the page. 404 — The page is not found (usually meaning the client deleted a page without a 301 redirect). 500 — Internal server error that you’ll need to connect with the web development team to determine the cause. Remove any internal links pointing to old 404 pages and update them with the redirected page internal link. Undo the redirect chains by removing the middle redirects. For example, if redirect A goes to redirect B, C, and D, then you’ll want to undo redirects B and C. The final result will be a redirect A to D.
There is also a way to do this in Screaming Frog and Google Search Console below if you’re using that version. The second thing I do when I get a new client site is to add their URL to Screaming Frog. Depending on the size of your client’s site, I may configure the settings to crawl specific areas of the site at a time. You can do this in your spider settings or by excluding areas of the site. Go to ‘Configuration’ in the navigation bar, then Custom. Contact your client’s developers and ask them to add the code to the specific pages that it’s missing. For more Google Analytics information, skip ahead to that Google Analytics section below. Go to the ‘Configuration’ tab in the navigation bar, then Custom. Add <iframe src-“//www.googletagmanager.com/ with ‘Does not contain’ selected in the Filter. Head over to Google Tag Manager to see if there are any errors and update where needed. Share the code with your client’s developer’s to see if they can add it back to the site. You’ll also want to check if your client’s site is using schema markup on their site. Schema or structured data helps search engines understand what a page is on the site. Add itemtype=”http://schema.\.org/ with ‘Contain’ selected in the Filter. After your site is done loading in Screaming Frog, go to Directives > Filter > Index to review if there are any missing pieces of code. 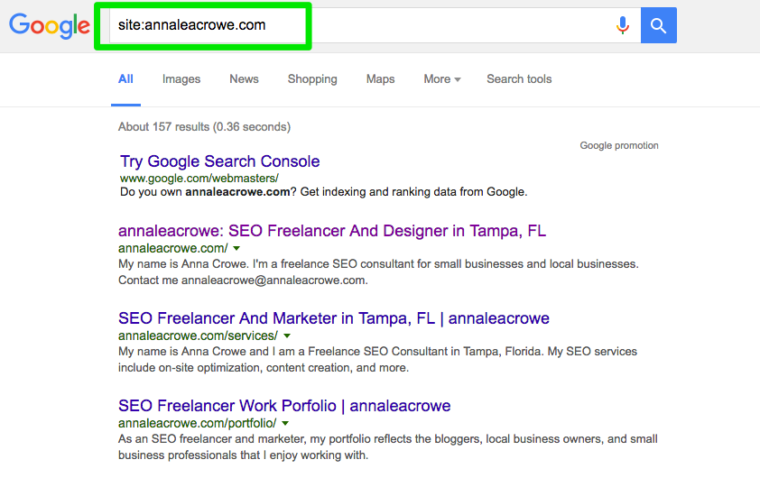 If the site is new, Google may have no indexed it yet. Check the robots.txt file to make sure you’re not disallowing anything you want Google to crawl. Check to make sure you’ve submitted your client’s sitemap to Google Search Console and Bing Webmaster Tools. Conduct manual research (seen below). Google announced this year that Chrome will start blocking Flash due to the slow page load times. So, if you’re doing an audit, you want to identify if your new client is using Flash or not. Head to the ‘Spider Configuration’ in the navigation. Filter the ‘Internal’ tab by ‘Flash’ after the crawl is done. Embed videos from YouTube. Google bought YouTube in 2006, no-brainer here. Or, opt for HTML5 standards when adding a video. When you’re reviewing a robots.txt for the first time, you want to look to see if anything important is being blocked or disallowed. Your client’s website is blocked from all web crawlers. But, if you have something like Zappos robots.txt file, you should be good to go. They are only blocking what they do not want web crawlers to locate. 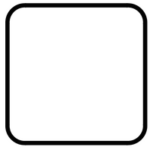 This content that is being blocked is not relevant or useful to the web crawler. Your robots.txt is case-sensitive so update this to be all lowercase. Remove any pages listed as Disallow that you want the search engines to crawl. You can also view blocked pages in Screaming Frog under the ‘Response Codes’ tab, then filtered by ‘Blocked by Robots.txt’ filter after you’ve completed your crawl. If you have a site with multiple subdomains, you should have a separate robots.txt for each. Make sure the sitemap is listed in the robots.txt. I use DeepCrawl, Screaming Frog, and Google and Bing webmaster tools to find and cross-check my client’s crawl errors. Scroll down to ‘Response Codes,’ then export the server side error report and the client error report. The client error reports, you should be able to 301 redirect the majority of the 404 errors in the backend of the site yourself. The server error reports, collaborate with the development team to determine the cause. Before fixing these errors on the root directory, be sure to backup the site. You may simply need to create a new .html access file or increase PHP memory limit. You’ll also want to remove any of these permanent redirects from the sitemap and any internal or external links. You can also use ‘404’ in your URL to help track in Google Analytics. Redirect chains not only cause poor user experience, but it slows down page speed, conversion rates drop, and any link love you may have received before is lost. Fixing redirect chains is a quick win for any company. In Screaming Frog after you’ve completed your crawl, go to ‘Reports’ > ‘Redirect Chains’ to view the crawl path of your redirects. 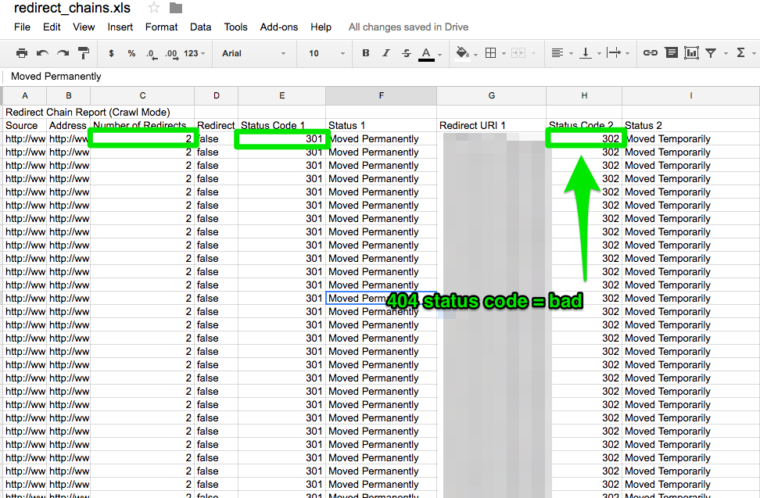 In an excel spreadsheet, you can track to make sure you’re 301 redirects are remaining 301 redirects. If you see a 404 error, you’ll want to clean this up. When a user clicks on a link to your site and gets a 404 error, it’s not a good user experience. And, it doesn’t help your search engines like any better either. To find my broken internal and external links I use Integrity for Mac. You can also use Xenu Sleuth if you’re a PC user. I’ll also show you how to find these internal and external links in Screaming Frog and DeepCrawl if you’re using that software. If you’re using Integrity or Xenu Sleuth, run your client’s site URL and you’ll get a full list of broken URLs. You can either manually update these yourself or if you’re working with a dev team, ask them for help. If you’re using DeepCrawl, go to the ‘Unique Broken Links’ tab under the ‘Internal Links’ section. Every time you take on a new client, you want to review their URL format. What am I looking for in the URLs? Parameters – if the URL as weird characters like ?, =, or + it’s a dynamic URL which can cause duplicate content if not optimized. 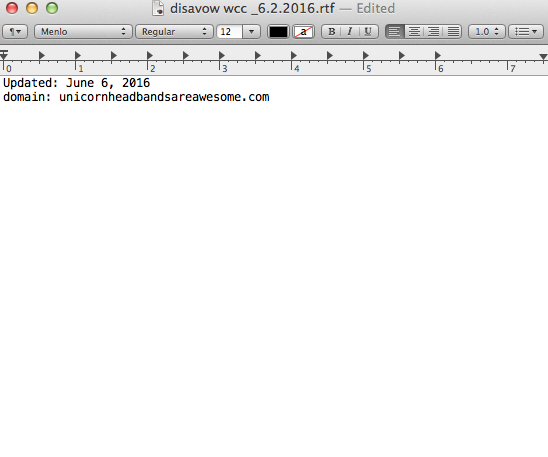 User-friendly – I like to keep the URLs short and simple while also removing any extra slashes. You can search for parameter URLs in Google by doing site:www.buyaunicorn.com/ inurl: “?” or whatever you think the parameter might include. Add a canonical tag to the main URL page. For example, www.buyaunicorn.com/magical-headbands is the main page and I see www.buyaunicorn.com/magical-headbands/?dir=mode123$, then the canonical tag would need to be added to www.buyaunicorn.com/magical-headbands. Disallow the duplicate URLs in the robots.txt. Step 2: Review Google Search Console and Bing Webmaster Tools. 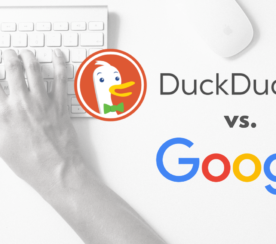 Since the Panda update, it’s beneficial to clarify to the search engines the preferred domain. It also helps make sure all your links are giving one site the extra love instead of being spread across two sites. In Google Search Console, click the gear icon in the upper right corner. Choose which of the URLs is the preferred domain. You don’t need to set the preferred domain in Bing Webmaster Tools, just submit your sitemap to help Bing determine your preferred domain. With the announcement that Penguin is real-time, it’s vital that your client’s backlinks meet Google’s standards. If you notice a large chunk of backlinks coming to your client’s site from one page on a website, you’ll want to take the necessary steps to clean it up, and FAST! Contact the companies that are linking to you from one page to have them remove the links. Or, add them to your disavow list. When adding companies to your disavow list, be very careful how and why you do this. You don’t want to remove valuable links. As an SEO consultant, it’s my job to start to learn the market landscape of my client. I need to know who their target audience is, what they are searching for, and how they are searching. 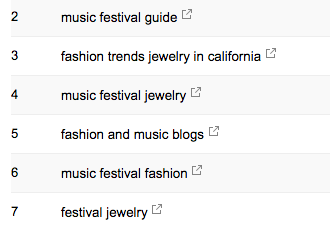 To start, I take a look at the keyword search terms they are already getting traffic from. In Google Search Console, under ‘Search Traffic’ > ‘Search Analytics’ will show you what keywords are already sending your client clicks. Do not include parameter URLs in your sitemap. Do not include any non-indexable pages. 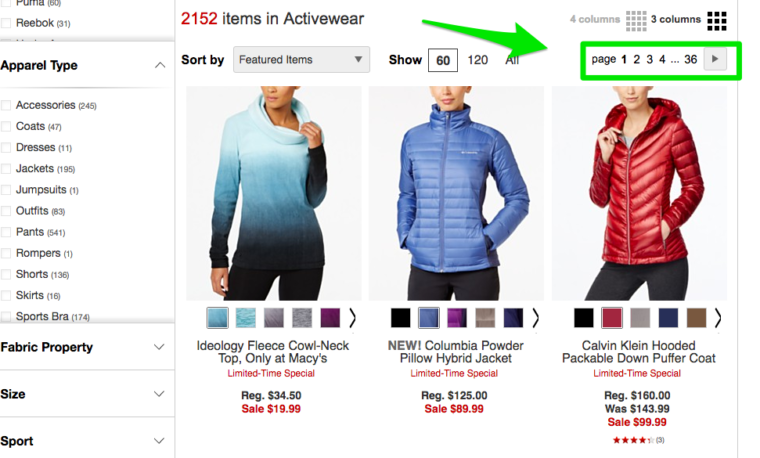 If the site has different subdomains for mobile and desktop, add the rel=”alternate” tag to the sitemap. Go to ‘Google Search Console’ > ‘Crawl’ > ‘Sitemaps’ to compare the URLs indexed in the sitemap to the URLs in the web index. Then, do a manual search to determine pages are not getting indexed and why. If you find old redirected URLs in your client’s sitemap, remove them. These old redirects will have an adverse impact on your SEO if you don’t remove them. If the client is new, submit a new sitemap for them in both Bing and Google webmaster tools. Crawl errors are important to check because it’s not only bad for the user but it’s bad for your website rankings. And, John Mueller stated that low crawl rate may be a sign of a low-quality site. Manually check your crawl errors to determine if there are crawl errors coming from old products that don’t exist anymore or if you see crawl errors that should be disallowed in the robots.txt file. Once you’ve determined where they are coming from, you can implement 301 redirects to similar pages that link to the dead pages. You’ll also want to cross-check the crawl stats in Google Search Console with average load time in Google Analytics to see if there is a correlation between time spent downloading and the pages crawled per day. As mentioned above in the schema section of Screaming Frog, you can review your client’s schema markup in Google Search Console. This will help you determine what pages have structured data errors that you’ll need to fix down the road. Google Search Console will tell you what is missing in the schema when you test the live version. Based on your error codes, rewrite the schema in a text editor and send to the web development team to update. I use Sublime Text for my text editing. Mac users have one built-in and PC users can use TextPad. When I first get a new client, I set up 3 different views in Google Analytics. These different views give me the flexibility to make changes without affecting the data. In Google Analytics, go to ‘Admin’ > ‘View’ > ‘View Settings’ to create the three different views above. Make sure to check the ‘Bot Filtering’ section to exclude all hits from bots and spiders. Link AdWords and Google Search Console. Lastly, make sure the ‘Site search Tracking’ is turned on. You want to make sure you add your IP address and your client’s IP address to the filters in Google Analytics so you don’t get any false traffic. You can manually check the source code, or you can use my Screaming Frog technique from above. If the code is there, you’ll want to track that it’s firing real-time. To check this, go to your client’s website and click around a bit on the site. Then go to Google Analytics > ‘Real-Time’ > ‘Locations,’ your location should populate. If you’re using Google Tag Manager, you can also check this with the Google Tag Assistant Chrome extension. If the code isn’t firing, you’ll want to check the code snippet to make sure it’s the correct one. If you’re managing multiple sites, you may have added a different site’s code. Before copying the code, use a text editor, not a word processor to copy the snippet onto the website. This can cause extra characters or whitespace. The functions are case-sensitive so check to make sure everything is lowercase in code. Compare the numbers from Google Search Console with the numbers from Google Analytics, if the numbers are widely different, then you know that even though the pages are getting indexed only a fraction are getting organic traffic. The last thing you’ll want to check in Google Analytics is if your client is using campaign tagging correctly. You don’t want to not get credit for the work you’re doing because you forgot about campaign tagging. 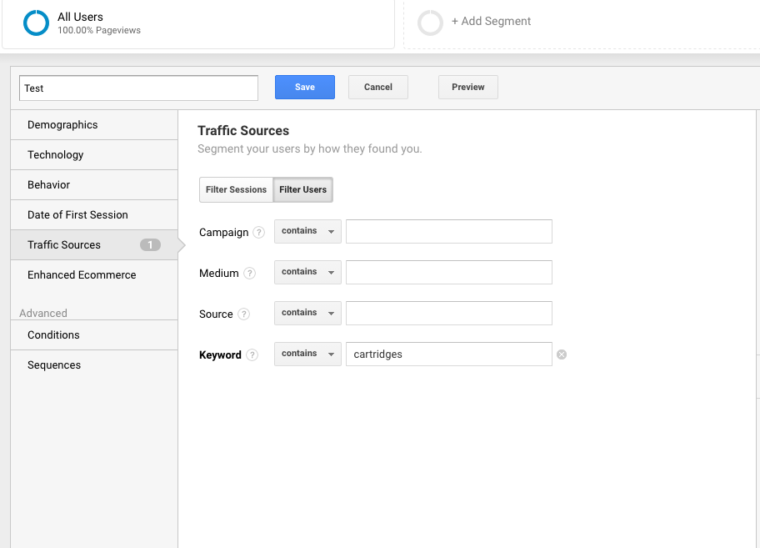 Set up a campaign tagging strategy for Google Analytics and share it with your client. Annie Cushing put together an awesome campaign tagging guide. 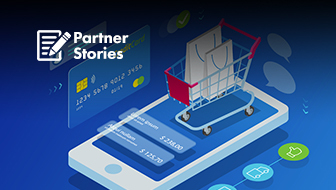 Set up Event Tracking if your client is using mobile ads or video. Go to Google Analytics > ‘Behavior’ > ‘Site Search’ > ‘Search Terms.’ This will give you a view of what customers are searching for on the website. Next, I’ll use those search terms to create a ‘New Segment’ in Google Analytics to see what pages on the site are already ranking for that particular keyword term. As Highlander would say, “there can be only one” website that is searchable. Use a 301 redirect for all URLs that are not the primary site to the canonical site. Conduct a manual search in Google and Bing to determine how many pages are being indexed by Google. This number isn’t always accurate with your Google Analytics and Google Search Console data, but it should give you a rough estimate. Perform a site search in the search engines. When you search, manually scan to make sure only your client’s brand is appearing. Check to make sure the homepage is on the first page. John Mueller said it isn’t necessary for the homepage to appear as the first result. If another brand is appearing in the search results, you have a bigger issue on your hands. 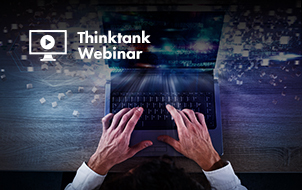 You’ll want to dive into the analytics to diagnose the problem. If the homepage isn’t appearing as the first result, perform a manual check of the website to see what it’s missing. This could also mean the site has a penalty or poor site architecture which is a bigger site redesign issue. Cross-check the number of organic landing pages in Google Analytics to see if it matches the number of search results you saw in the search engine. This can help you determine what pages the search engines see as valuable. I’ll run a quick check to see if the top pages are being cached by Google. Google uses these cached pages to connect your content with search queries. You can also check this in Wayback Machine. Check the client’s server to see if it’s down or operating slower than usual. There might be an internal server error or a database connection failure. This can happen if multiple users are attempting to access the server at once. Check to see who else is on your server with a reverse IP address check. You can use You Get Signal website for this phase. You may need to upgrade your client’s server or start using a CDN if you have sketchy domains sharing the server. Check to see if the client is removing specific pages from the site. 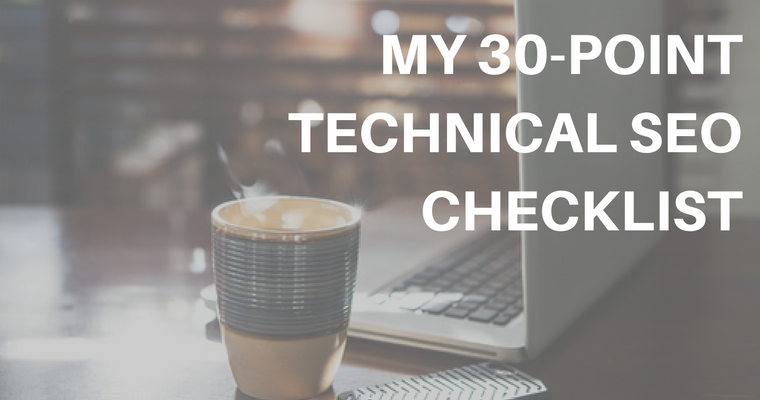 While this may get a little technical for some, it’s vital to your SEO success to check the hosting software associated to your client’s website. Hosting can harm SEO and all your hard work will be for nothing. You’ll need access to your client’s server to manually check any issues. The most common hosting issues I see are having the wrong TLD and slow site speed. If your client has the wrong TLD, you need to make sure the country IP address is associated with the country your client is operating in the most. If your client has a .co domain and also a .com domain, then you’ll want to redirect the .co to your client’s primary domain on the .com. I’m excited to see you test out DeepCrawl, Screaming Frog, and some of the other tools. And, I’d love to hear about all the creative ways you perform a site audit. What have you experimented with? What tools do you use? Let me know if the comments below. This is a series of posts which I’ll be diving deeper into mobile, site architecture, site speed, content, and off-site. If there’s anything particular you want to see, let me know if the comments. In-Post Photos: Anna Crowe. Taken October 2016.